As a first-year Honors student, you are eligible to participate in our Honors Abroad Program; a fully funded scholarship opportunity to study abroad. 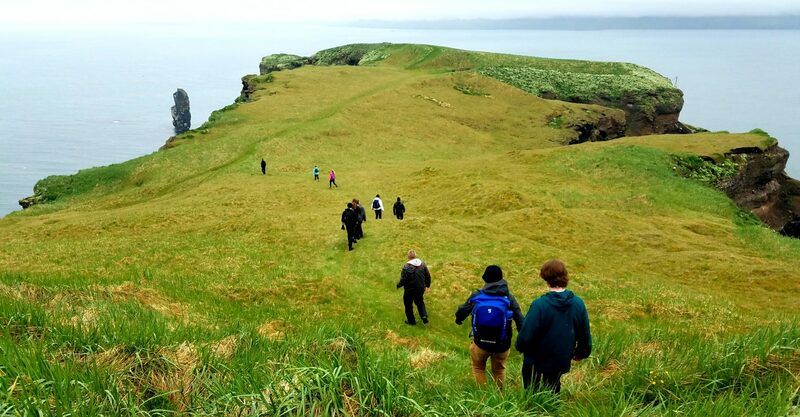 Honors offers an annual, signature, interdisciplinary study abroad experience in Iceland. The trip is typically based in Reykjavik and incorporates travel throughout the country. Honors Abroad is a 4-week course, beginning in May, with 7-10 days in Iceland and the remaining time spent in Maine. Each iteration of the Honors short-term travel course (HON 195) fulfills the “International” Core Curriculum Requirement. The course is team-taught with rotating Honors-affiliated faculty members. While the focus areas and content of the course will change as faculty change, each iteration of the course will position Iceland as a geographic filter for identifying topics of historical and contemporary relevance, and the course will always challenge students to understand complex issues from multiple perspectives. Check out our current and past HON 195 topics!